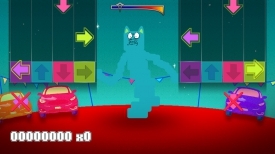 RAVE.WAV is a local multiplayer dance and rhythm game, influenced by games like Guitar Hero and Rock Band the objective here is to try to hit the right keys in time with when they display on the screen and in time with the musical beats. 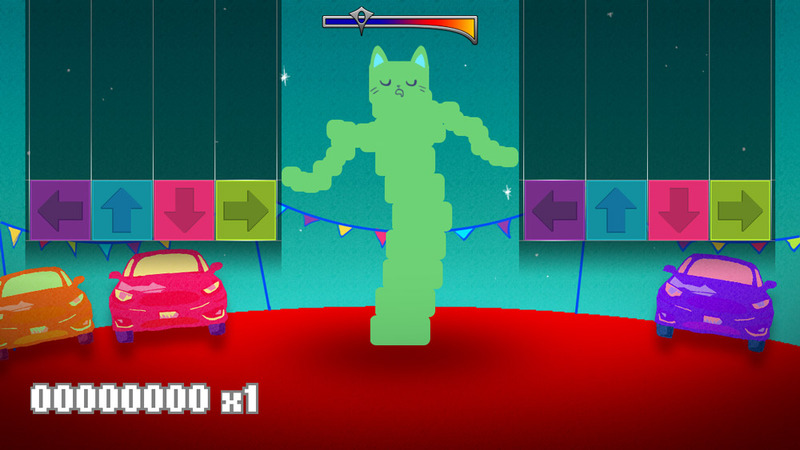 You play as a sort of cat thing, but when dancing it grows to resemble something more Dr. Seuss like and is very pleasant and amusing to look at with bright colors and some interesting (to say the least) dance moves! 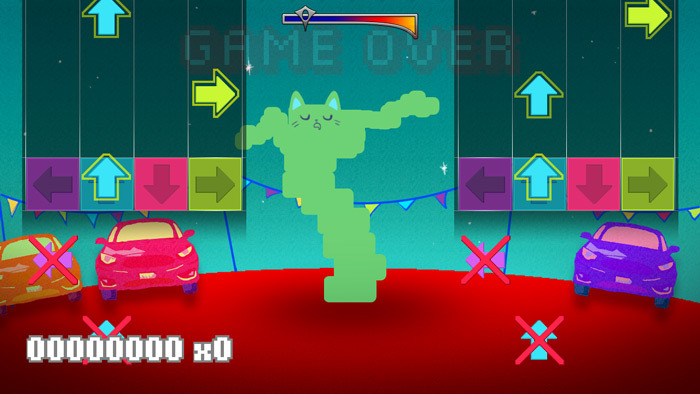 The game is challenging ad sometimes hitting the right keys is a lot harder than it seems but once you get the hang of the game it is great fun however make sure you don't make too many offbeat dance moves as RAVE.WAV is unrelenting when it comes to giving game over screens and even two keys hit out of time could see you going back to the start, annoyingly there is a rather long wait time each time the game does restart. Although this is nothing spectacular or original if you're looking for a fun free game to play with a friend then this might well be worth checking out. You can download RAVE.WAV here for free.